2 With a hand mixer or in the bowl of a stand mixer, whip the cream until it just holds, stiff peaks. 3 Dip ladyfingers briefly in strawberry juice and arrange them in the bottom of a dish. 4 Spread half the pudding mixture over the ladyfingers. 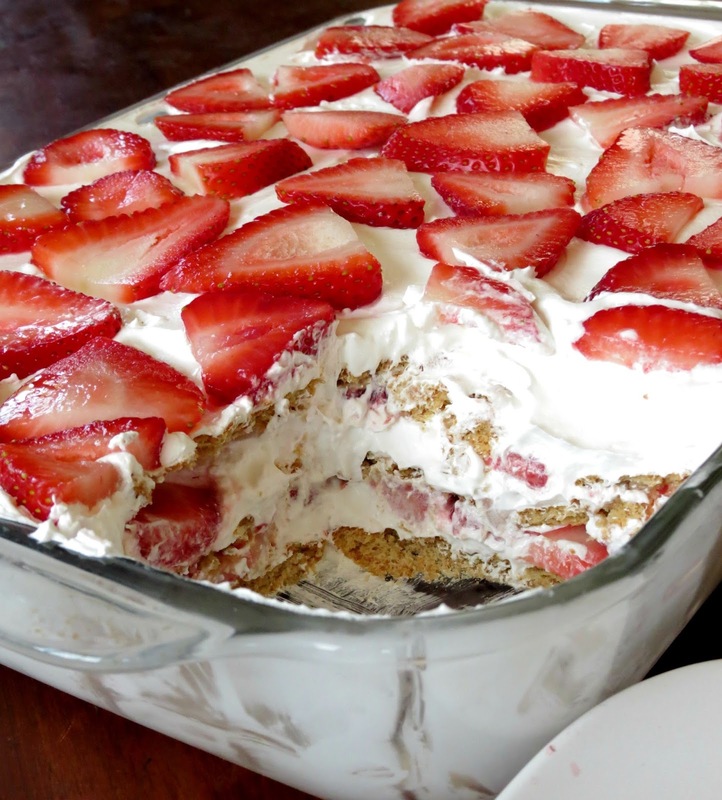 5 Place the strawberries in a single layer over the pudding. 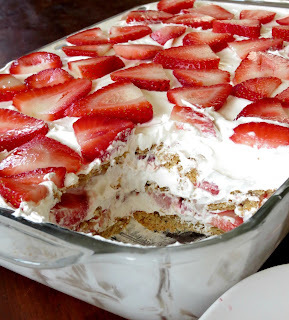 6 Repeat with remaining ladyfingers, pudding mixture and strawberries. 7 Top with whipped cream and strawberries. 8 Chill for at least 4 hours before serving.